LEGO Fan and flickr.com member Letranger Absurde who is also creator of perfect LEGO busts has shared a different MOC named Tia Dalma's Shack. He used two hues of brown. 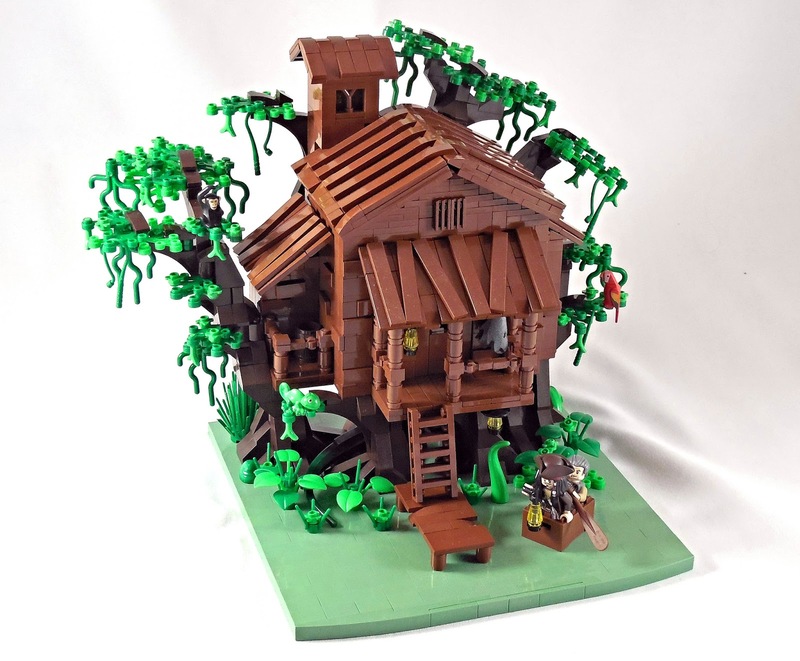 Dark Brown / Reddish Brown combo is very well used on Treehouse and Tree. I mostly liked the pier with curved sloped walkway.